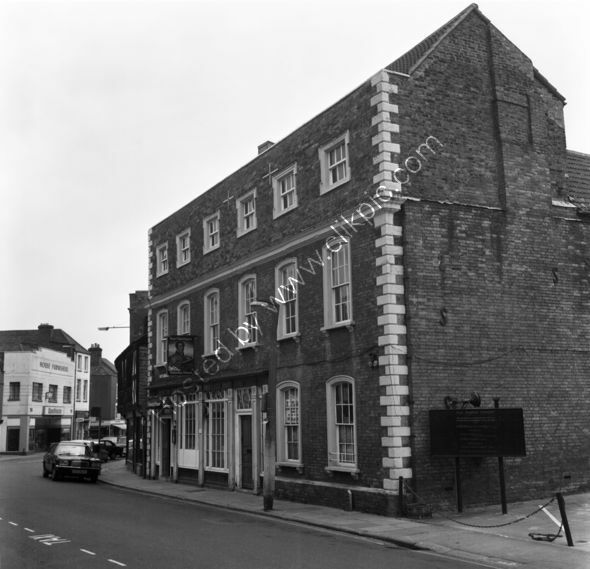 Waterloo House in 1973 situated in , St Mary Street, Bridgwater (later the Bridgwater Inn) Closed since 2010 it is hoped (Jan 2019) that it may re-open as a pub or hotel. Building on the left of the photo is number 30 and is Woodhouse The House Furnishers. Further down the street is Rossiters. The Sign to the right of the pub advertises The Old Baptist Chapel. Formed before 1640 and a congregation has worshipped on this site since 1692. Above this sign is evidence of a demolished single storey building and roof as the leadwork still exists, in line with the cornice of the front elevation of the pub. The car facing us, a Vauxhall Victor, is DOB 983K.For commercial use of this photo, including use on another website, please visit Alamy.com and search for RFFCC7. For a one-off print please see below.